NEWS | Gato Group Poland Sp. z o.o. Our products make an appearance in the prestigious magazine “ARCHITEKTURA OD WNĘTRZA”. 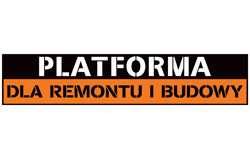 We can proudly announce that our TEC7 line is available in all PLATFORMA DLA REMONTU I BUDOWY shops since the 1st of September! Gato Group Poland participated in WARSAW BUILD 2015 as an exibitor. An article about TEC7 products appears in May issue of GPD. We have the pleasure to inform you that our on-line store is finally open!